Over the past few years, a significant percentage of the RSD / CRPS /fibromyalgia patients I treated had previously undergone Ketamine Infusion Therapy. 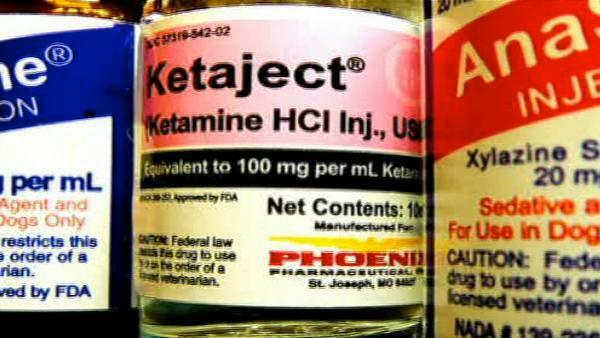 I’d like to offer a little background on Ketamine and share some feedback from my patients who used it in various forms—through IV, creams and even as a form of coma-inducing sedation. For RSD, CRPS and fibromyalgia sufferers, Ketamine is sometimes recommended for temporary chronic pain relief. It is an NMDA blocker that shuts down pain signals coming from the brain and then reboots the brain without the pain signal. Successful outcome statistics for RSD patients treated with Ketamine are less than 50%. Boosters are necessary every two – three months and the cost averages about $2,000/ treatment. Each IV infusion takes about four to five hours. Patients sometimes experience significant and unpleasant side effects from this drug, including hallucinations, nausea, extreme fatigue, mental confusion, substantial weight-gain and ‘claw hand’ syndrome. If you have undergone Ketamine treatment without a successful outcome, you can undergo Calmare (assuming your medical condition is determined appropriate for treatment). However, there must be a full two-month span between the last Ketamine treatment and the start of Calmare. In fact, the less neurolytic drugs (Lyrica, Neurontin, Cymbalta) patients are using during Calmare Therapy, the better. Why? Because these drugs have an effect on brain activity and conflict with the functionality of Calmare to optimally do its job. In other words, you need to feel your body’s untreated pain in order to identify when the scrambler therapy is lessening the neuropathy, for how long and to what degree. I realize that for patients who have been reliant on neurolytic drugs for months or years, reducing the dosage of medication before our treatment starts can be daunting. My argument is that the potential rewards for patients who undergo Calmare Therapy may eliminate the need for these expensive and debilitating drugs. Permanently. Therefore, I believe this is a gamble worth pursuing. Every patient’s case is unique because we all react to injury and pain, acute or chronic, in different ways. If you or a loved one is interested in learning more about Calmare Therapy, please feel free to contact me directly at (201) 933-444-zero. I know in Clearwater, Florida we have cash cow doctor who treats 16 or more patient a day for Ketamine and you have to go back every 4-6 weeks for treatments. People swear by him that ketamine has given them a better quality of life and they are mooching every month on gofundme to pay for these treatments with him. He makes you bring in someone to watch over you while getting your treatments as he doesn’t have enough staff to do it. I took my Daughter to him and after the first treatment of ketamine her hands started knotting up in a ball and complaining her throat feels like it is closing. Then he wanted me to bring her back a week later for boosters and she would need to be seen every 4-6 weeks. I don’t have that kind of money to take her to Fl and he doesn’t take insurance. Going to see the cash cow was a waste of time and money and ketamine did more damage then good on my daughter. I wouldn’t advise anyone to get ketamine treatments after seeing this factory that this quack of a doctor. If you don’t include the protocol and case studies of Fibromyalgia patients, then it is really irresponsible to post percentage results, or side effects. It is better to post individual case studies in order for people to determine along with their providers whether or not IV Ketamine treatment is appropriate in their situation. The statistical rate of success with ketamine is closer to 80%, the price is actually MUCH less than $2,000 per treatment at many centers, and in the long run a significant number of patients do EXTREMELY well. Ketamine gave me my life back. Thank you very much for posting and sharing your position. First, I’m very happy Ketamine worked for you. I would be interested in a source of the 80 percent stat you noted, if possible. We have seen many patients who have tried it previously. Each individual treatment may be under the $2000. However, from my understanding from our patients here in New Jersey, it begins with a 4-visit protocol that is repeated and boosters are required. Any additional information you have would be much appreciated. Please feel free to email me privately at CalmareNJ@gmail.com.